Why Vicki Belo chose Alyssa Valdez as The new Belo Medical Group Endorser: Reason Here! Instagram scoop: The Phenom Alyssa Valdez was chosen as Belo Medical Group's newest endorser. 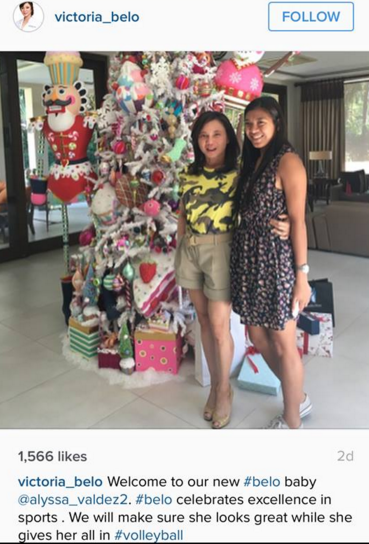 Vicki Belo herself welcomed Ateneo's go-to-spiker in her Instagram account, citing "sports excellence" as the main reason why they chose her.